Learning Connexions is built on our passion of delivering high quality Learning & Development solutions to your organisation. Through our courses, workshops and community events we help participants evaluate strengths, develop talent, train leadership and manage change. We understand the importance of development as a holistic experience for each delegate, and we have the experience to help ensure your learning needs are fully met. We constantly strive to offer the best advice to all our clients which includes offering the most relevant courses to you depending on your current skill base, career development needs and future aspirations. We want each and every delegate on our courses to have an enjoyable and valuable learning experience. 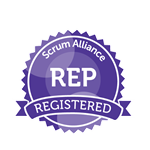 Learning Connexions is an accredited Registered Education Provider (REP) through the Scrum Alliance.